SLC is delighted to be returning to Moscow in force this spring. 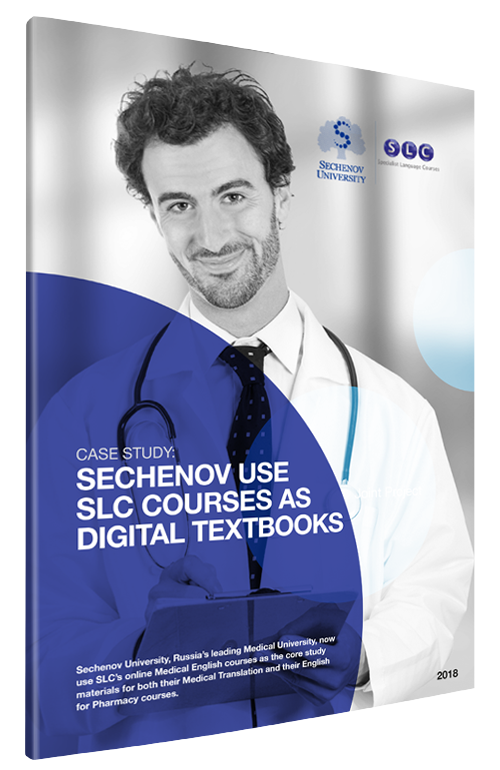 As part of our ongoing partnership with Sechenov University, Russia’s leading medical university, SLC will be working on three projects with the Linguistics and Intercultural Communication department over the next week. Bethan Edwards, SLC’s Academic Director, and Jo Langford, SLC’s Senior Teacher, will be running a three-day training course for 40 Russian lecturers from the Medicine, Pharmacy and Languages departments. Together, they will be teaching the participants how to use English effectively in a teaching environment with both Russian and international students, from giving lectures and presentations to managing classes and seminars. The course is highly practical and builds on the success of the course given by Bethan in 2018. Chris Moore, SLC’s Managing Director, has been working with the Linguistics team to customise one of SLC’s key online Medical English courses. The English for Doctors course has been edited and added to, incorporating pedagogy and language – including Cyrillic – specific to the needs and demands of the Russian market. The course will be co-developed and co-branded, offering a unique course for the medical schools around Russia and the ex-republics. During the week, Chris and the Sechenov team will work on phase 2 of the project with a provisional release date of January 2020. Chris, Bethan and Jo are also on the judging panel of the Medical English Olympiad, taking place at Sechenov university on Saturday, 30th March. The first two rounds have already taken place. The final round involves the remaining participants, representing universities around the world, preparing group projects. The SLC team are very excited to see what will be produced! Interested in working with SLC?